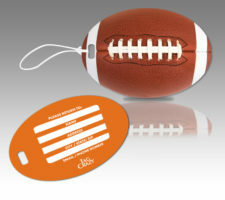 At TagCrazy we are absolutely crazy about creating the best designer luggage tags in the world! 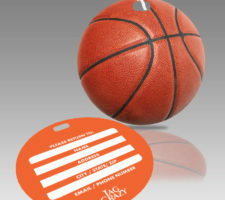 Our designs are unique, fun, colorful and durable.... with a style for each person and every bag imaginable, you're sure to find the right tag for you. 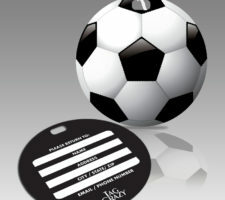 Each tag can be personalized with your name and address, or you may select our standard signature panel, backside design. 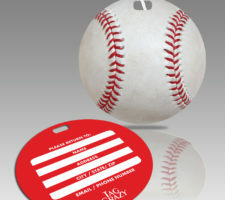 Start browsing our selections and find your perfect luggage tag today! Join our Email & get a discount on your next order. Subscribing is FREE! Order our award-winning catalog! Click below to see a copy! TagCrazy’s totally unique advertising concept reaches 100% of your target market – GOLFERS, on the course, playing the game they love! 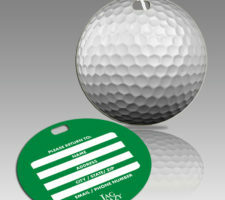 Every golfer displaying a TagCrazy photographic bagtag is a walking advertisement for your club or resort. 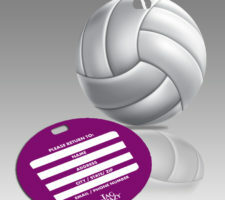 TagCrazy’s dynamic visual appeal is your standing invitation to all who see it – all over the world! Now you have the best exposure imaginable: “Word of mouth advertising!” That’s effective! 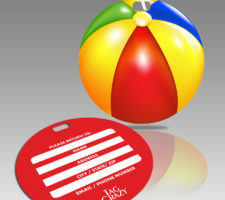 That’sTagCrazy!Fullpersonalization is optional add-on service for all luggage tags. Please fill in all pertinent name, address, city, state, zip. 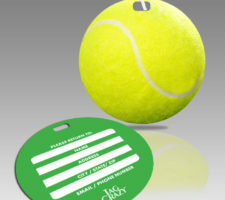 Phone number is optional.Please note: When ordering a back side personalized luggage tag, the back side will always be white with black lettering.Product returns are not permitted when ordering a personalized luggage tag. Please be certain you have spelled all information correctly as we will image the product exactly as you have spelled it. These are great and are perfect for my parents' world travel to remind them where they come from and to come home. Item as advertised, received promptly, and in good condition. Thank you. Exactly what I wanted!!! Awesome price and arrived quickly!! Will definitely recommend to family and friends and buy from again!! !